A higher share of the NDP's caucus is not running for re-election than in previous years. What does it mean for the party? The list of New Democrats deciding not to run in 2019 is growing, depriving the party of experienced MPs and the electoral advantages of incumbency in some key ridings across the country. Two names were added to the list this week: Linda Duncan, the NDP's only MP from Alberta, and London-area MP Irene Mathyssen. 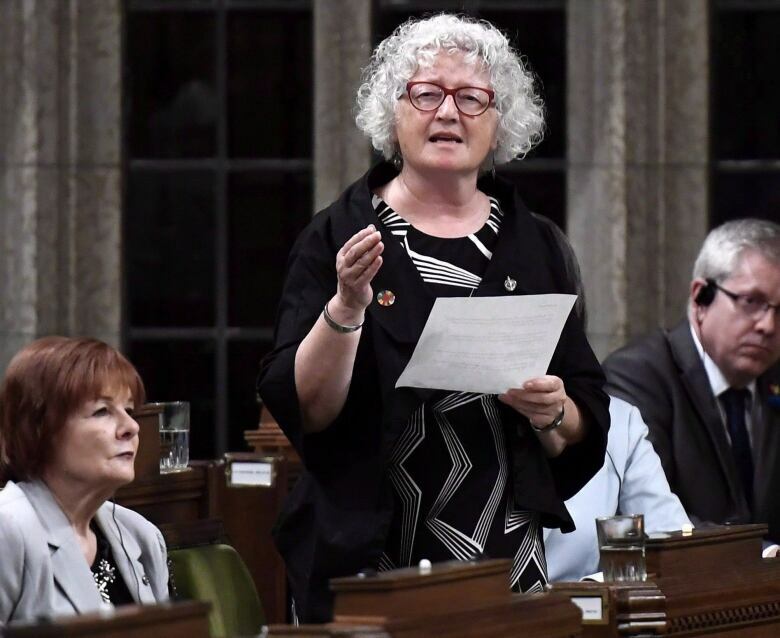 In addition to these two, the NDP will be without the services of at least five other MPs going into the 2019 federal election, including Ontario MP David Christopherson and Quebec MPs Hélène Laverdière and Roméo Saganash​. Former NDP leader Tom Mulcair has already stepped aside and B.C. MP Kennedy Stewart has announced his intentions to resign his seat as he makes a bid for the mayor's office in Vancouver. 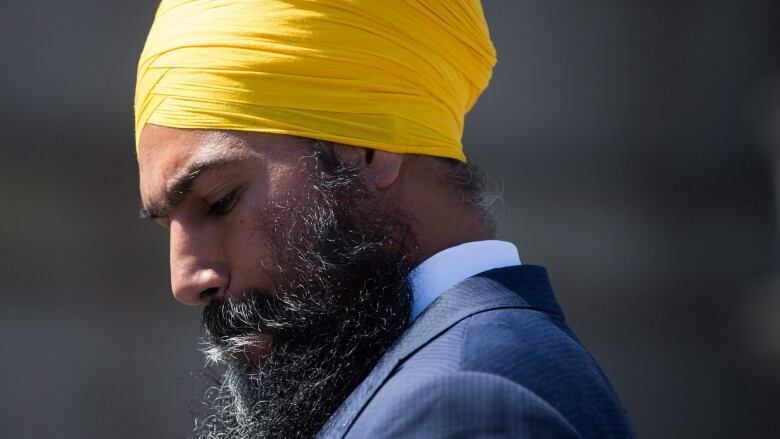 NDP Leader Jagmeet Singh has said he will run for Stewart's seat when the byelection in Burnaby South is called. These are significant losses for the party. Duncan has been the federal NDP's lone voice in Alberta ever since she was first elected in 2008. With Christopherson and Mathyssen leaving, Jenny Kwan, a former B.C. provincial cabinet minister, is the only MP in Singh's caucus with any cabinet experience — both Christopherson and Mathyssen served in Bob Rae's NDP government in Ontario in the early 1990s. Laverdière and Saganash were two of the party's higher profile MPs in Quebec, with Laverdière twice defeating former Bloc Québécois leader Gilles Duceppe in his own riding. Mulcair's byelection victory in Outremont in 2007 was the first step in the party's breakthrough in Quebec in 2011. These departures thin a front bench that had already been pared down in 2015 after the losses of big names like Jack Harris and Megan Leslie in Atlantic Canada, Françoise Boivin and Nycole Turmel in Quebec, and Paul Dewar and Peggy Nash in Ontario, among others. But it is not only the clout of the MPs sitting out the next election that should be of some concern to the NDP. As a share of caucus, more NDP MPs are not running again than in 2015. After winning 103 seats in 2011, about 13 per cent of that caucus did not run for re-election four years later. The NDP is already up to 16 per cent of its initial caucus of 44 with another year to go before the next election campaign officially kicks off. The number of New Democrats who have decided not to go for another term is roughly the same as the number of Conservatives and Liberals — combined — who have come to the same conclusion. It is also similar to the total cumulative number of NDP MPs who did not try for re-election in the 2004, 2006, 2008 and 2011 elections. It could be that New Democrats don't like their chances in 2019. The party has not raised a lot of money under Singh and it is scoring below its 2015 result in recent polls. Yet, there is a natural cycle to MPs choosing not to run for re-election. Christopherson was first elected to federal office in 2004, Mathyssen in 2006 and Duncan in 2008. Some of those who are retiring now might have done so before the 2015 federal election if the NDP didn't have a serious chance of winning it. And with two majority governments in a row, the gap between elections has gotten longer. There were four elections held between 2004 and 2011, when the party had fewer incumbents stepping down. But whether these departures signify a deeper malaise within the NDP or not, they still have the potential to hurt the party. The electoral impact of the resignations of Stewart and Mulcair will be decided when byelections are called in Burnaby South and Outremont, likely before the end of the year. Christopherson won Hamilton Centre by 12 percentage points over the Liberals in 2015 and the city is a stronghold for the NDP. The riding might be safe. Even though Duncan won Edmonton Strathcona by a margin of 13 percentage points over the Conservatives in 2015, the debate over the Trans Mountain pipeline expansion — which has pitted Singh against his fellow New Democrat, Alberta Premier Rachel Notley — could take a toll on the federal party's chances. Laverdière beat Duceppe by 10 points in Laurier–Sainte-Marie but the NDP's support in Quebec has dropped significantly. The Liberals were only six points behind Mathyssen in London–Fanshawe and five points behind Saganash in Abitibi–Baie-James–Nunavik–Eeyou. Losing a familiar name on the ballot will not help the New Democrats in these tight races. In 2015, the NDP averaged a loss of 14.4 points in ridings where they ran an incumbent MP. But in ridings the NDP won in 2011 but in which the MP left before the 2015 election, the new NDP candidate in that riding secured about 16.6 fewer points on average. It is part of a broader historical trend where an incumbent candidate secures more of the vote than a lesser known name. The drop was particularly marked in Quebec in 2015, where NDP incumbents dropped 5.7 points fewer than NDP candidates fared in ridings where the NDP had lost their incumbent MP. Those might not be enormous numbers. But depending on how the next campaign goes, the New Democrats could easily gain enough support nationwide to compensate for it — or lose so much that an extra few points lost in a handful of ridings won't make a difference. Regardless, this may be an early sign that things aren't heading in the right direction for the NDP. Éric Grenier is a senior writer and the CBC's polls analyst. He was the founder of ThreeHundredEight.com and has written for The Globe and Mail, Huffington Post Canada, The Hill Times, Le Devoir, and L’actualité.